I got out of bed on Sunday early morning, remembering that we didn't buy breakfast for the kids on Saturday. Flipping through my stacks of unfiled recipes, I was looking for scones. I remembered seeing some easy scones quite sometime back. 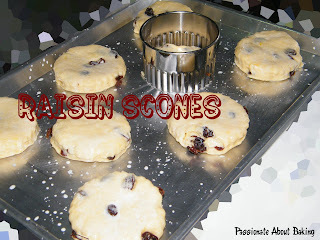 Finally I found the recipe to bake-Raisin Scones from Fenying. 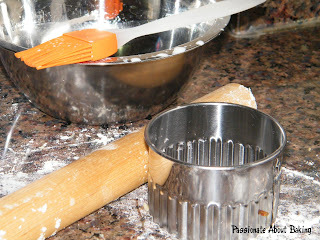 1) Sieve self raising flour into a bowl, add sugar and mix well. 2) Add cold butter pieces, rub into flour mixture to resembles breadcrumbs. 3) Mix well with raisin. 4) Dig a well in the centre of above mixture, pour in D and mix to form a soft dough. 5) Remove and place on a floured table, roll dough out. 6) Cut into rounds with a 2" cutter and arrange them on a baking tray. 7) Brush the top with milk and sprinkle with some sugar. 8) Bake in pre-heated 200ºC oven for 15 – 18 mins till light brown. 9) Remove and served warm with fruit jam/honey or beaten fresh cream. Waaaah! 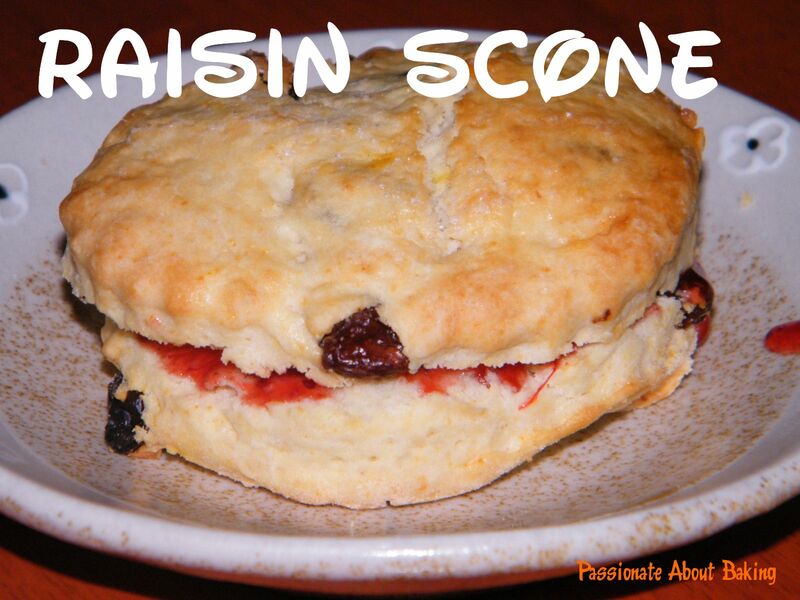 I love raisins in scones. Believe it or not, I have never baked scones :( Yours looks wonderful! mmm looks good for breakfast!! I love raisins! very useful read. I would love to follow you on twitter. By the way, did you guys hear that some chinese hacker had hacked twitter yesterday again. delicious and yummy scones..without egg..? love it..tempting..
You've not baked scones? Aw, then you should try. It's one of the simplest bakes, maybe that's why you've not tried. You would prefer many other complicated bakes and cooks ya? Thanks. Of course you can follow me in twitter, but it's not updated. I'm not aware of the hacker, but thanks for your information! Yup, no eggs. You vegetarian? I'm sure you'll like it! Thanks! Aw, poor girl. What happened? You should take proper breakfast you know? Hope you had fun when you go back! Take care! If there's one breakfast I won't say no to, it'd be scones. I never thought of adding raisins though. I'm sure my mom would love that! 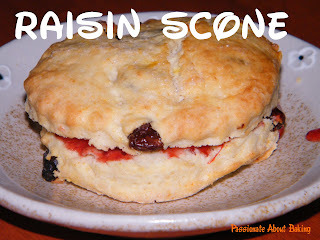 Yup, raisins are truly nice and sweet to a plain scones! Do try it!